Wireless kit with 4.3" foldaway monitor and small camera. Ideal kit for a car and caravan. 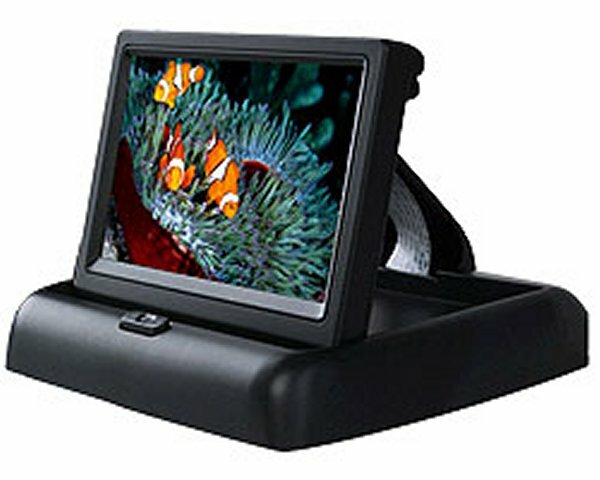 This monitor just sits on the dash board and when not required can be folded flat and even put away in the glove box if you wish. It has a 4.3" digital screen which gives crystal clear pictures. Full specifications can be read on our "monitors" page and go to MON-22. 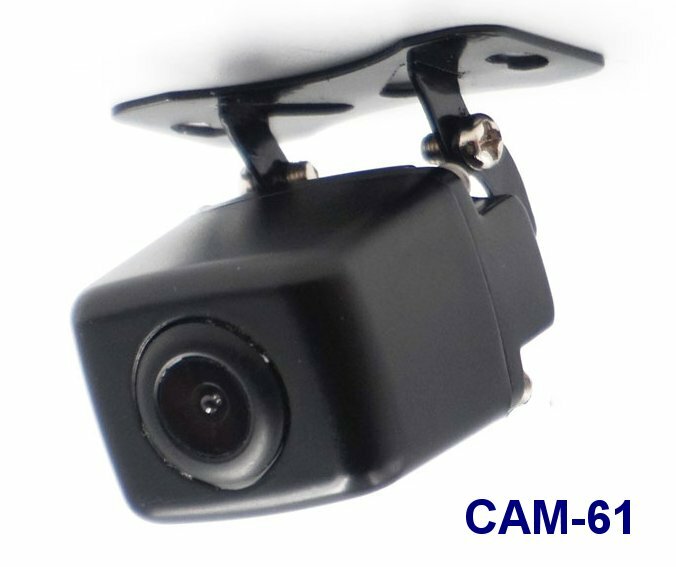 You have a choice of cameras and both the CAM-60 and CAM-61 are designed to be fitted by the side of the number plate light. You can then bring the wires in through the same hole as the wires that actually power up the number plate light itself, so usually means that you don't have to make any more holes. These cameras have the latest chipsets and are very good in low light situations. 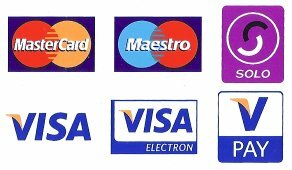 Full specifications can be read on our "Cameras" page. 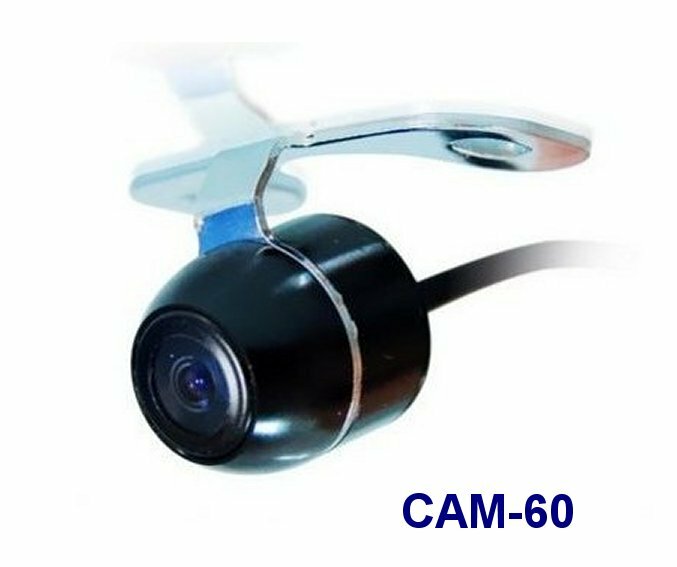 You also have a choice of wireless transmitter & receiver kits to go with the above monitor and cameras. The two above are both Analogue working on the 2.4Gh frequency. 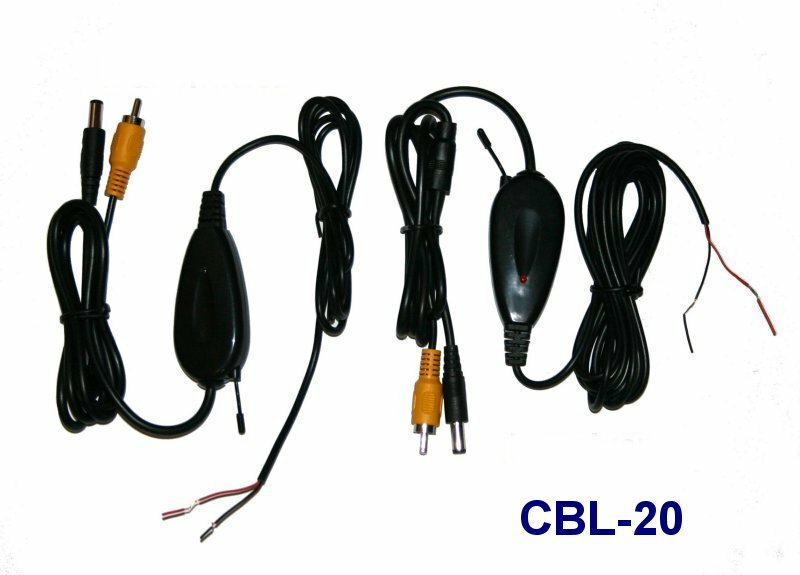 The CBL-20 has a range of around 30-40 meters with nothing in the line of sight between the arials so it would be advisable to get the transmitter and receiver as close as possible in order to get the best signal. 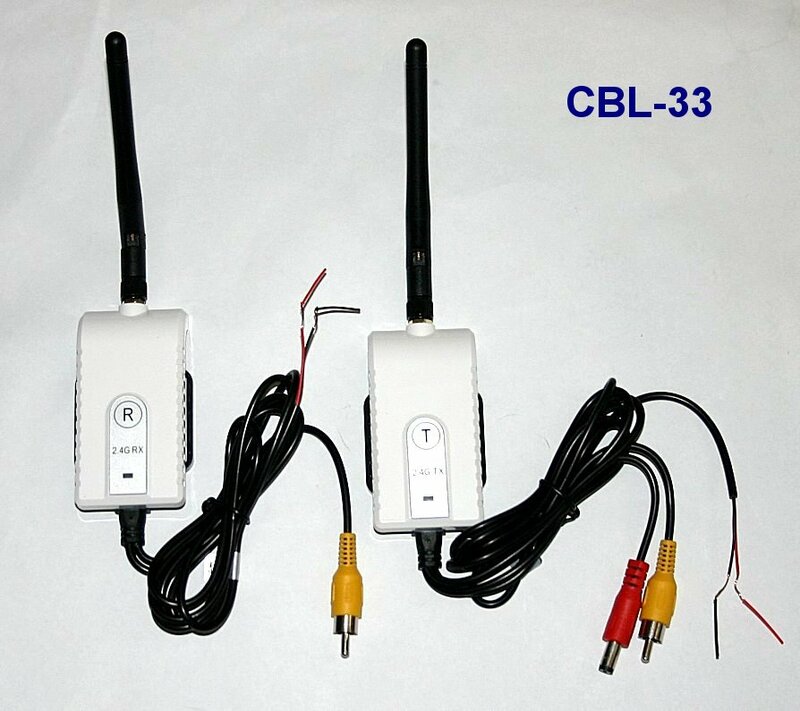 The CBL-33 has a much greater range of around 200 meters so the signal will still be very strong even with the transmitter in the back of a caravan and the receiver in the glove-box of the car. 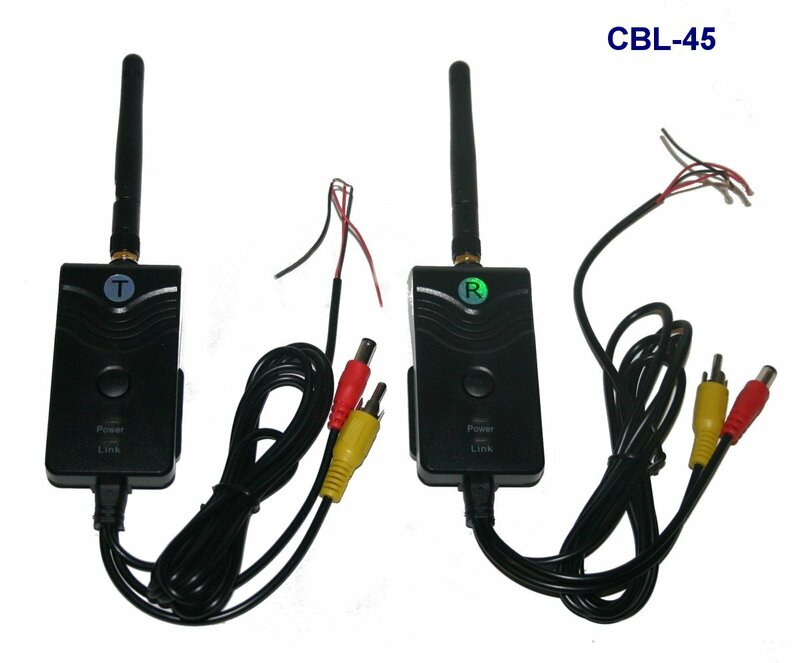 If you want the best wireless transmitter & receiver kit, then you must go for the Digital CBL-45 kit above which will give you a good clear picture without the problems associated with the Analogue kits. They are more expensive but worth it if you want the best picture without the interference.